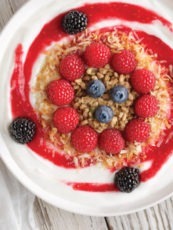 Bring some color and fun to your table this spring with these fruit wands! Perfect for Easter, Mother’s day or any spring celebration. 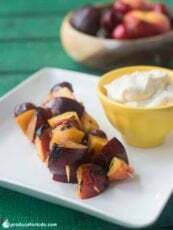 Just layer your favorite brightly-colored fruits on skewers and enjoy! Make them extra special by using small cookie cutters to cut fruit into shapes, like these watermelon flowers! 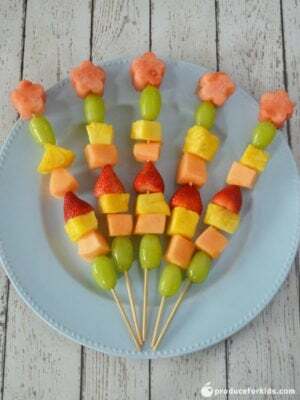 Layer grapes, cantaloupe, pineapple, strawberries and watermelon onto skewers.